Photos of what purport to be Apple's forthcoming "iPhone 7" have bubbled up from sources in the People's Republic of China, though some aspects of the snaps cast a shade of doubt on their authenticity. 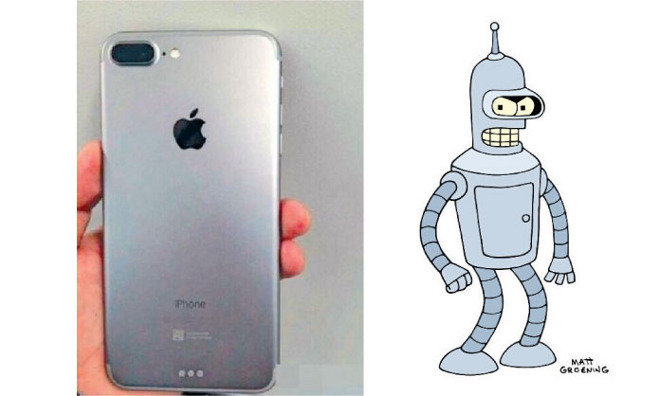 The device bears a striking resemblance to Futurama's Bender. The more believable shot —showing a rear shell —carries a dark Apple logo and generally takes the form most expect the iPhone 7 to adopt. 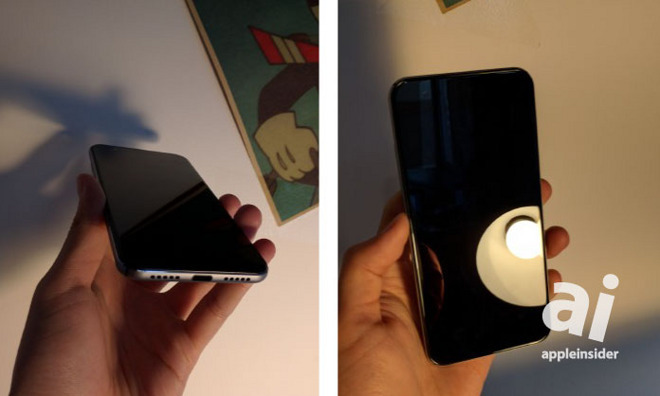 An iPhone 6-esque design carries a dual camera module in the upper left, surrounded by a small rise in the material rather than a separate ring, as on previous generations. The back is also unmarred by antenna breaks, with those instead curling around the top and bottom. It goes off the rails with the supposed addition of a Smart Connector adjacent to the Lightning port, though. While the Smart Connector makes sense on the iPad Pro, its appearance here would be puzzling —especially in the indicated location. A second set of somewhat more dubious shots depict a device with no home button or headphone jack. Captions accompanying the photos indicate that the button and Touch ID sensor are integrated into the display itself. While it's true that rumors of home button-less developments have circulated for years, that feature has yet to make its way into the iPhone 7 conversation. Whispers of a headphone jack-less iPhone 7 have been picking up steam, however, and we may yet see such a change when the new device is announced. Apple is preparing to hold a media event on March 21 at which it will likely announce a new 4-inch iPhone, though the iPhone 7 isn't expected to make an appearance. The flagship models are more likely to be refreshed in September, their now-standard timeline that puts them at the top of consumers' minds going into the holiday season.